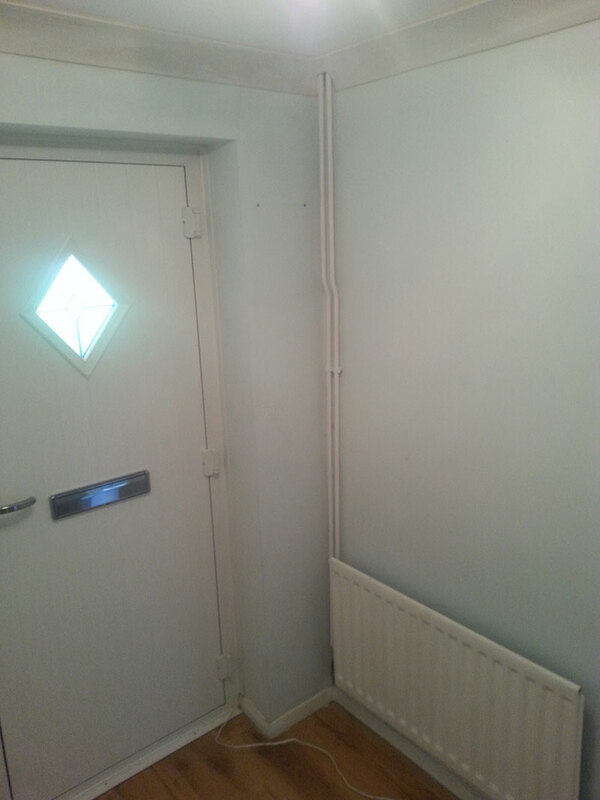 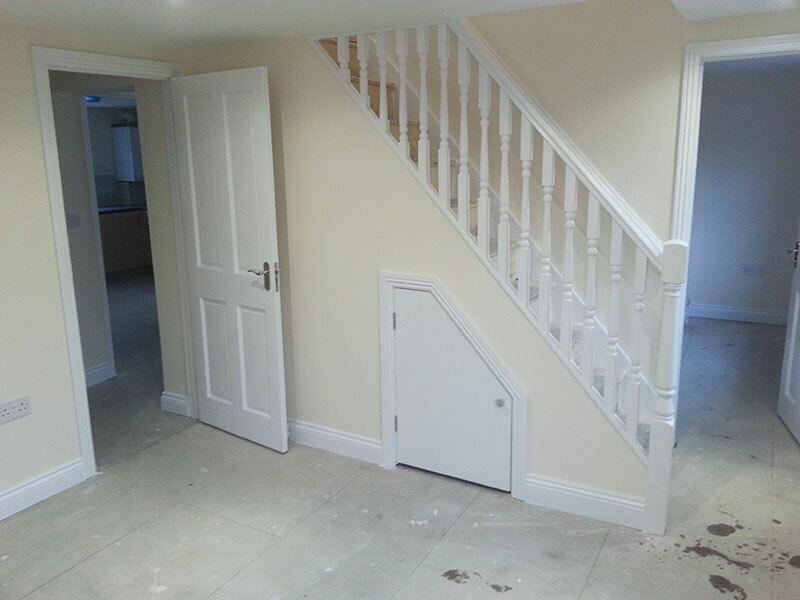 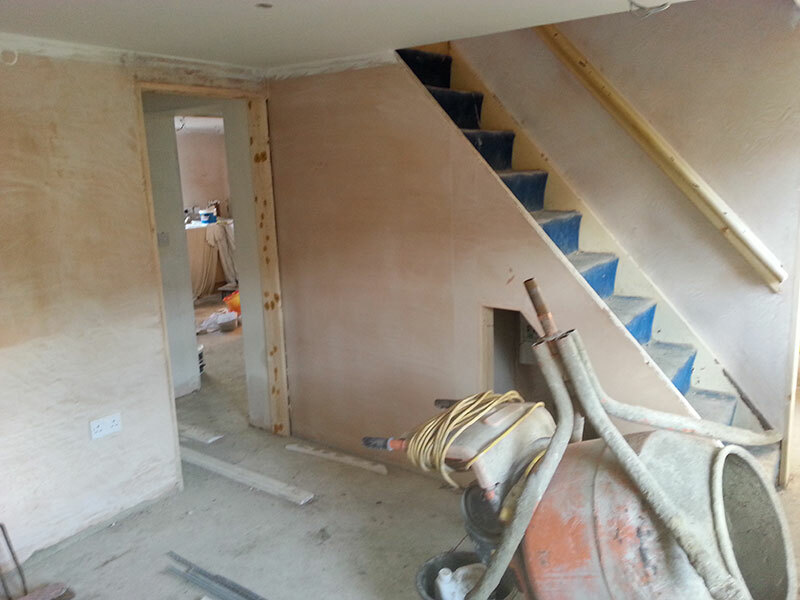 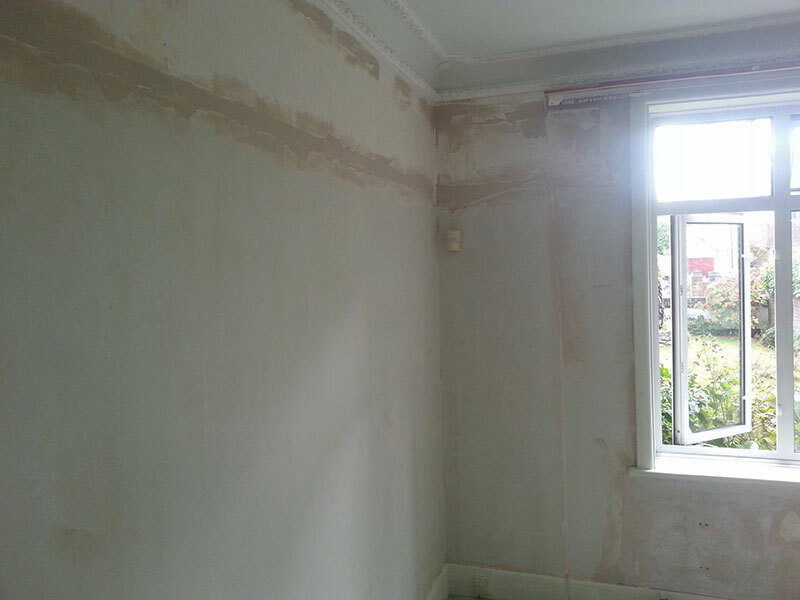 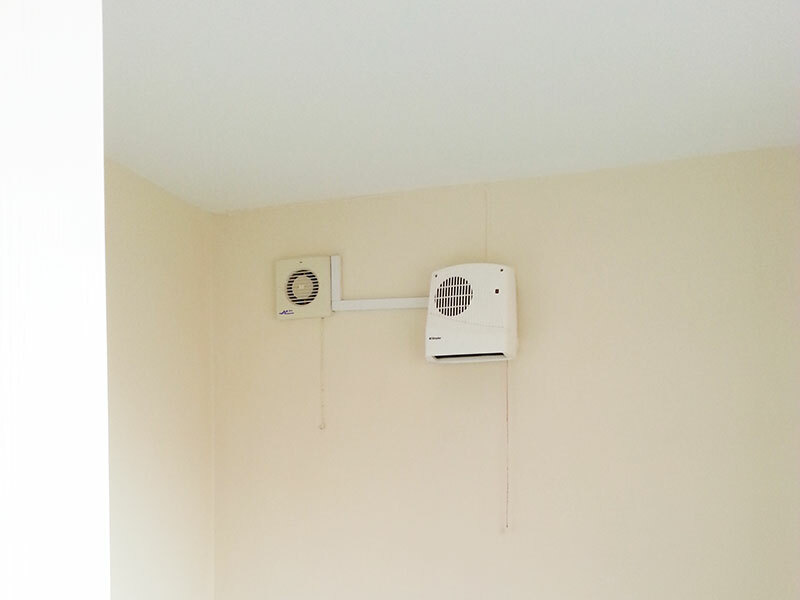 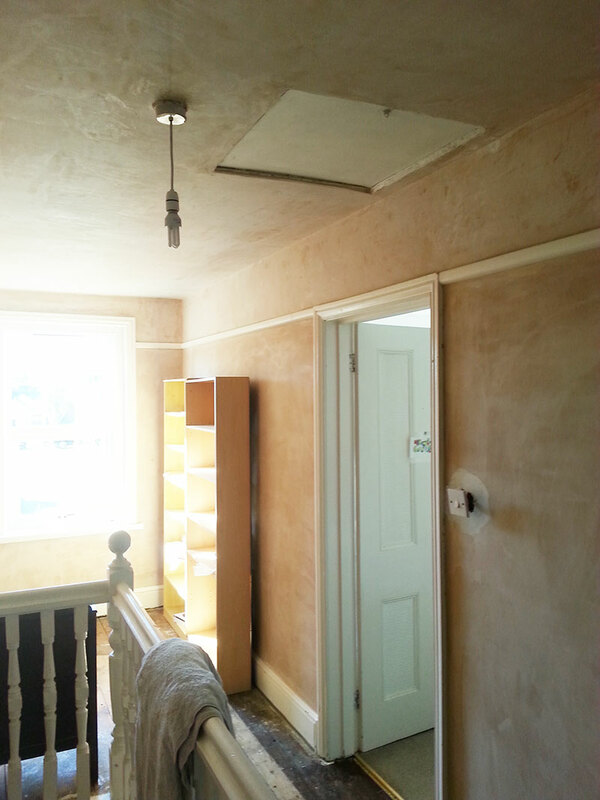 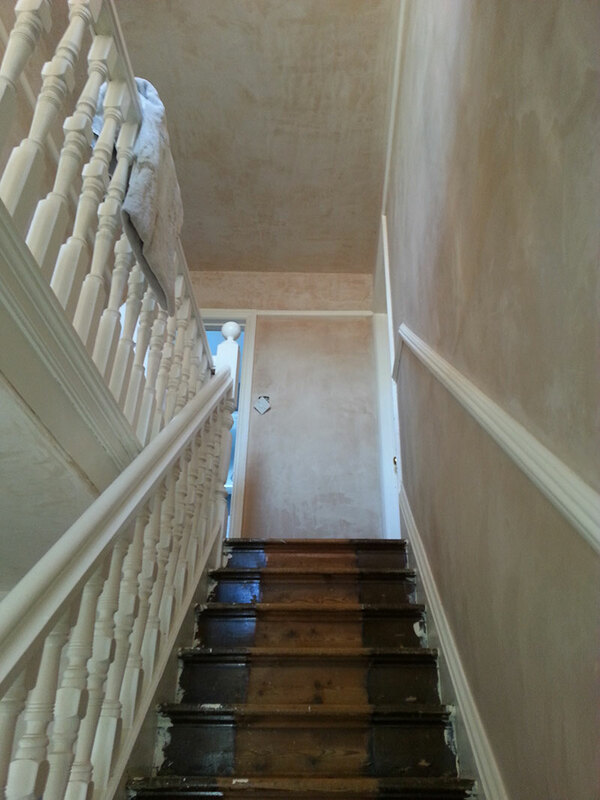 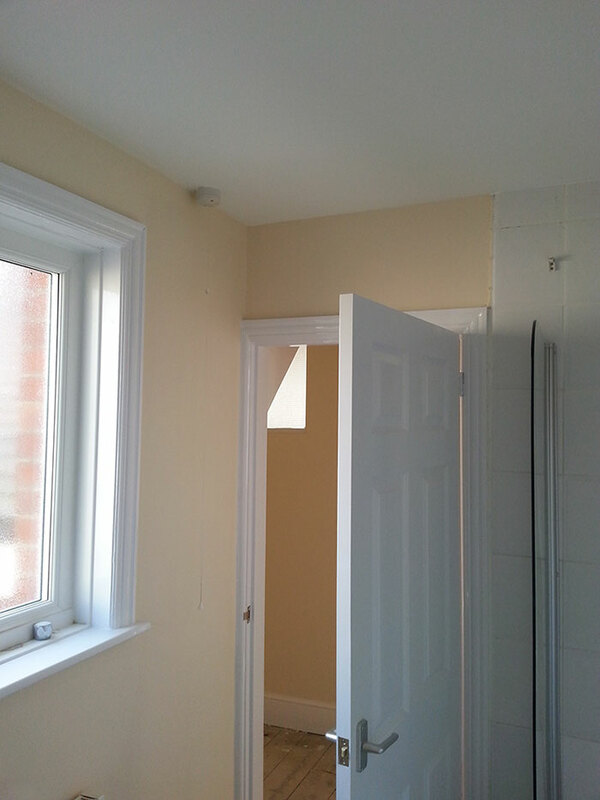 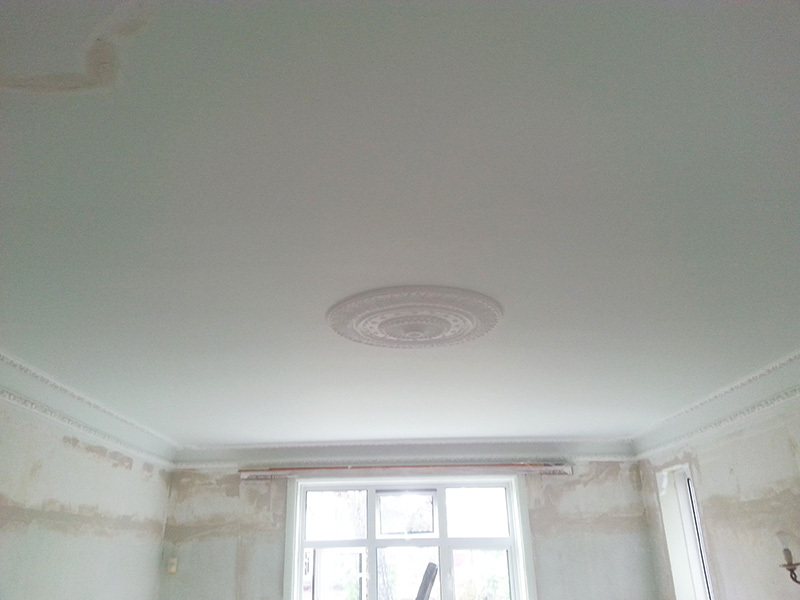 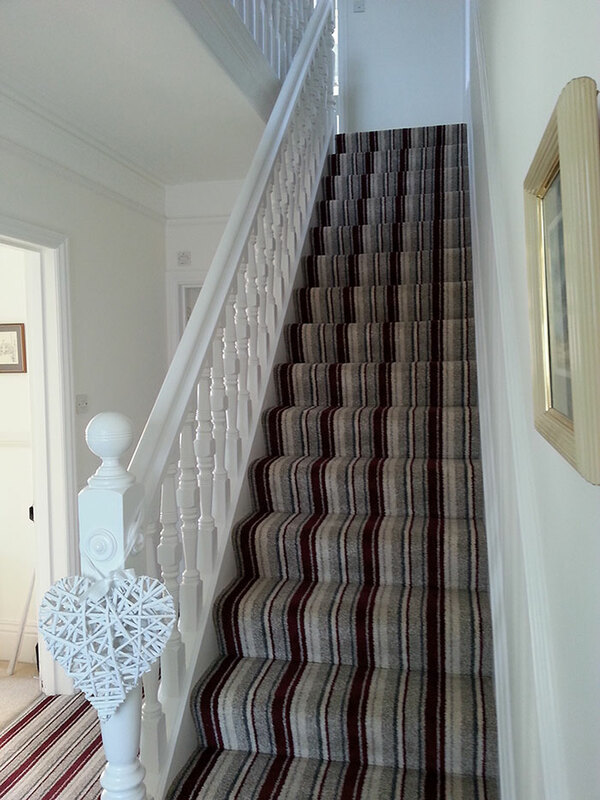 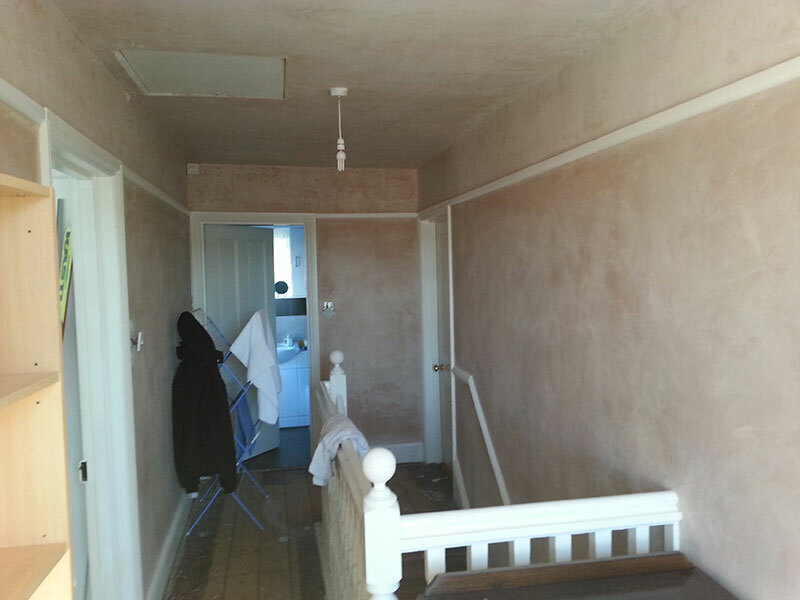 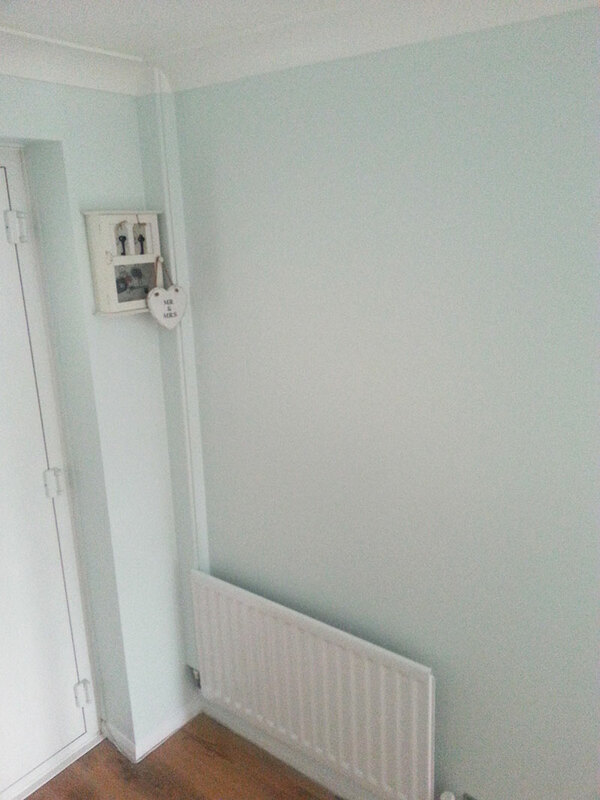 These photos show the preparation, painting and finishing of a downstairs hall, stairwell and upper landing area. 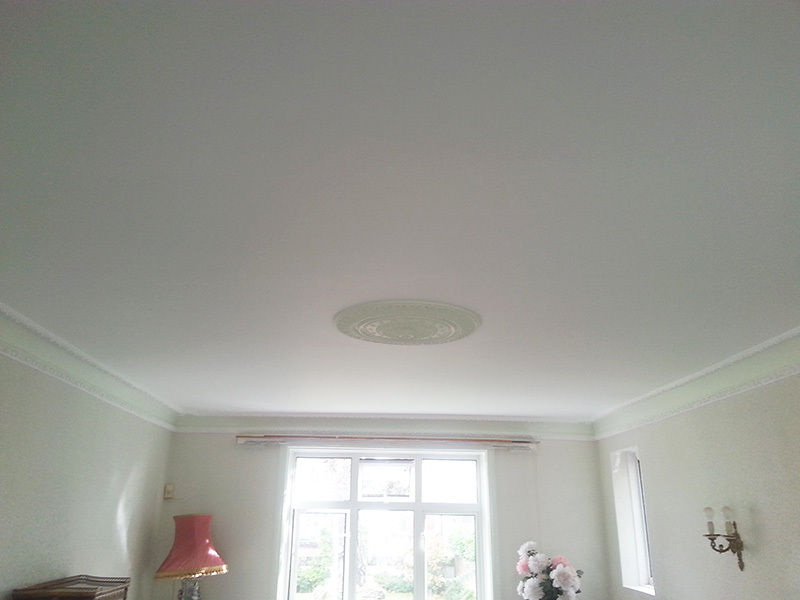 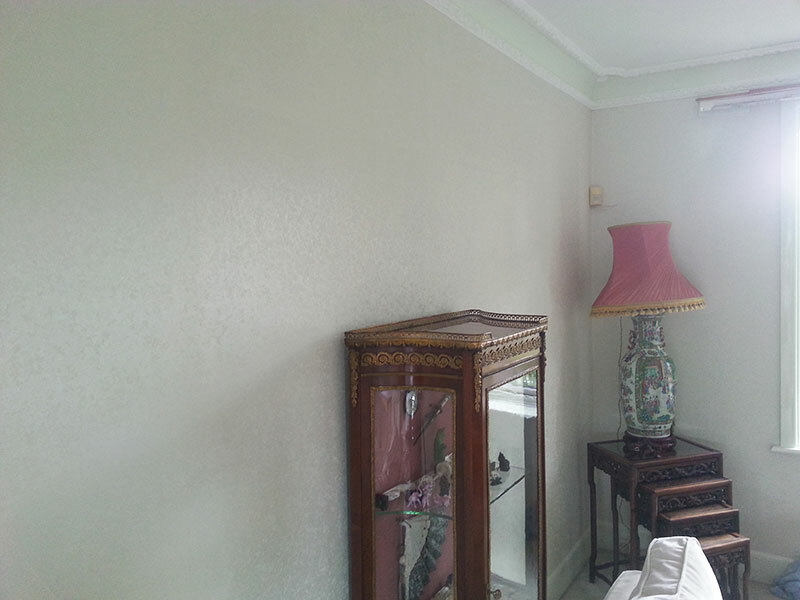 These photos show the transformation of a traditional living room – a clean finish after thorough preparation of surfaces. 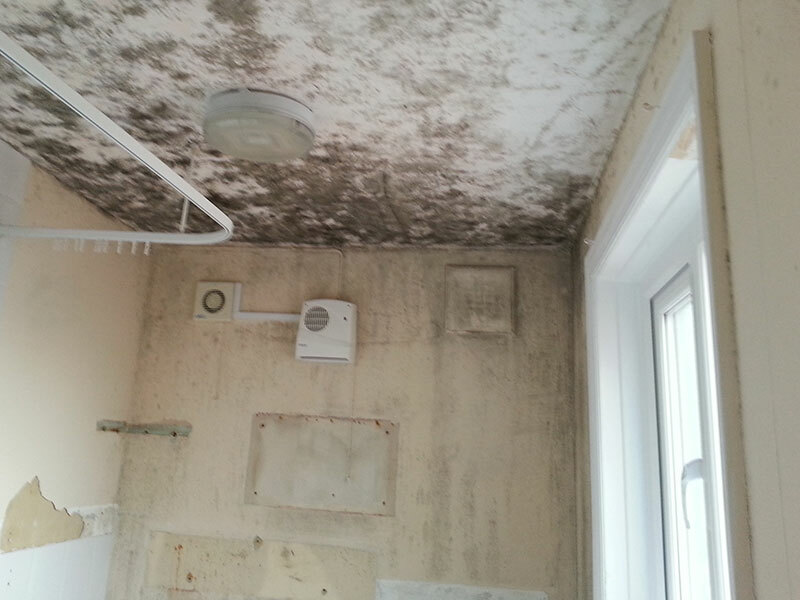 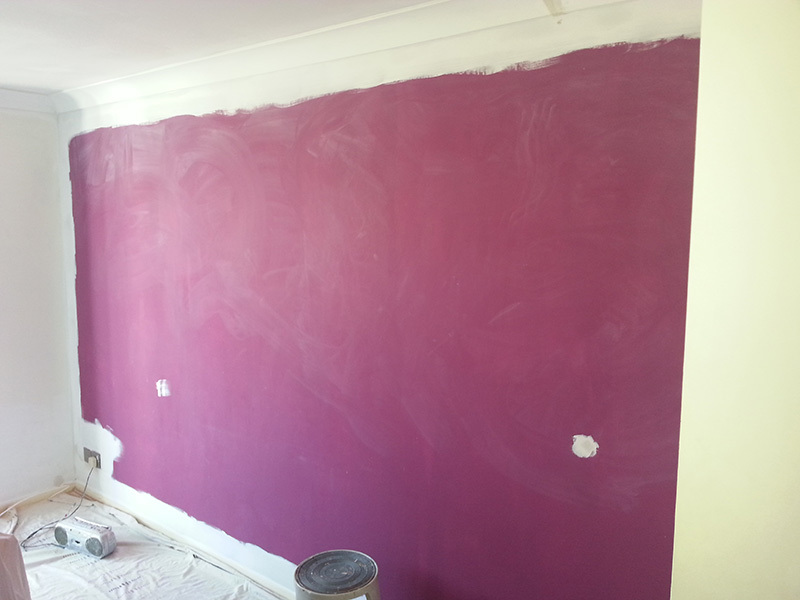 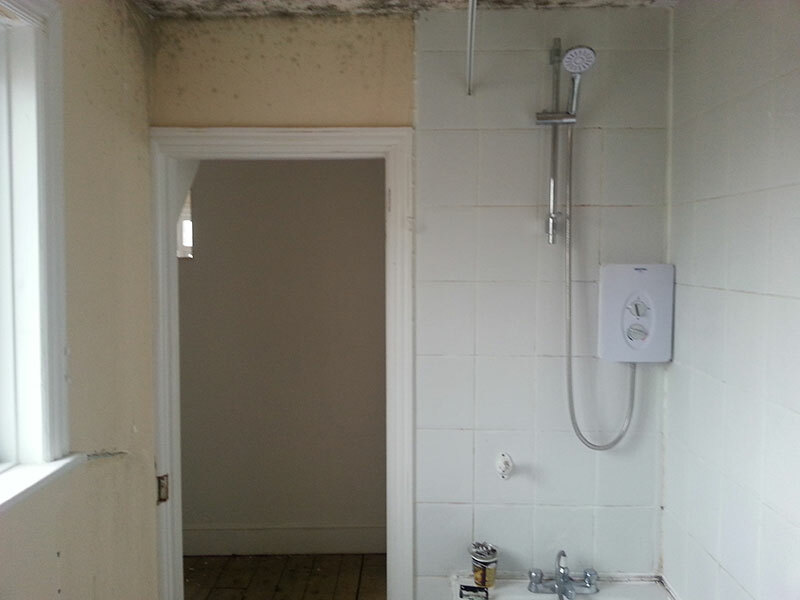 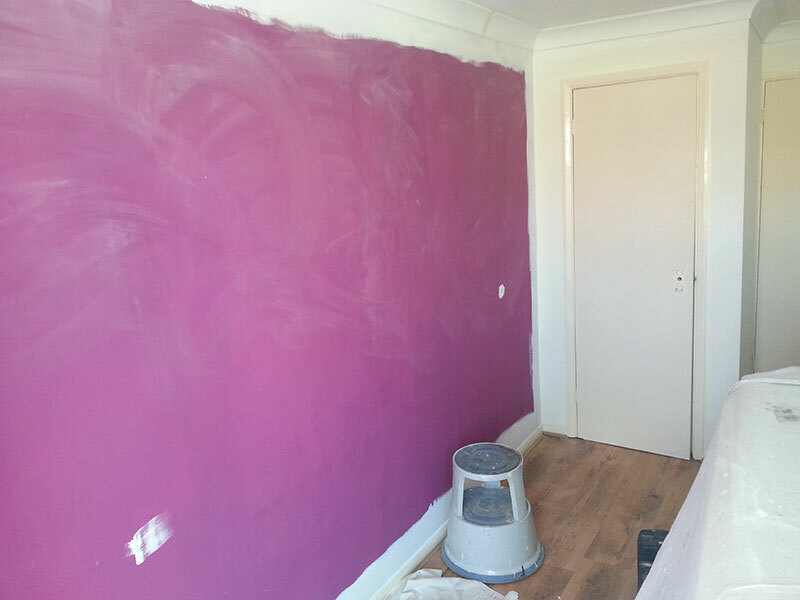 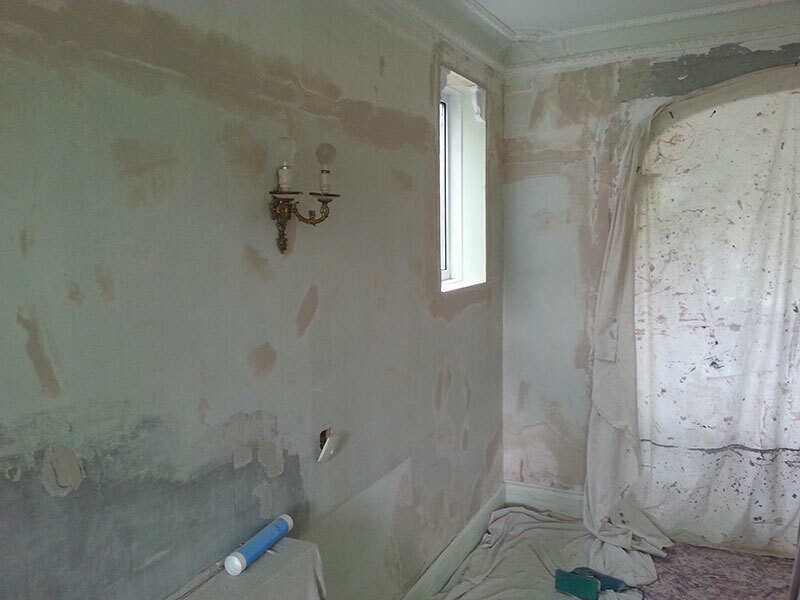 These photos show the transformation of an upstairs bathroom – previously in a sorry state, now looking smart & stylish. 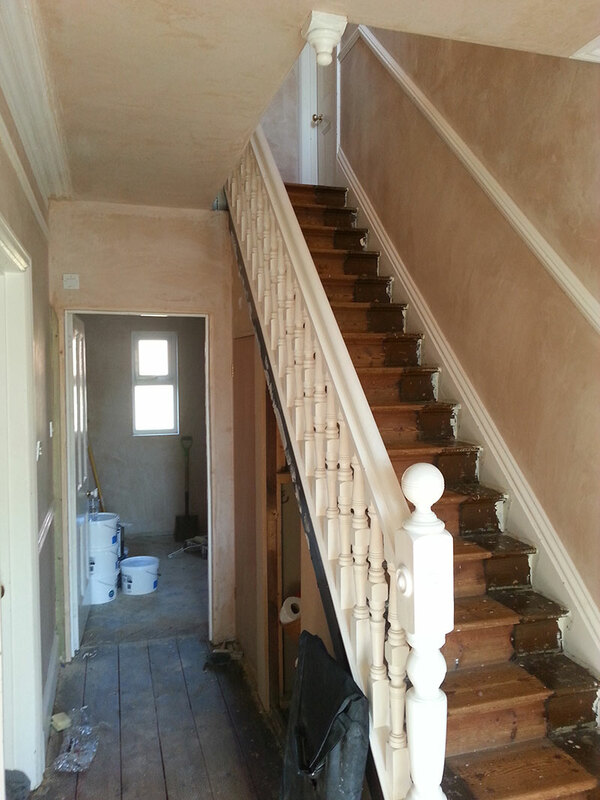 An open stairway in the process of being renovated, and when finished. 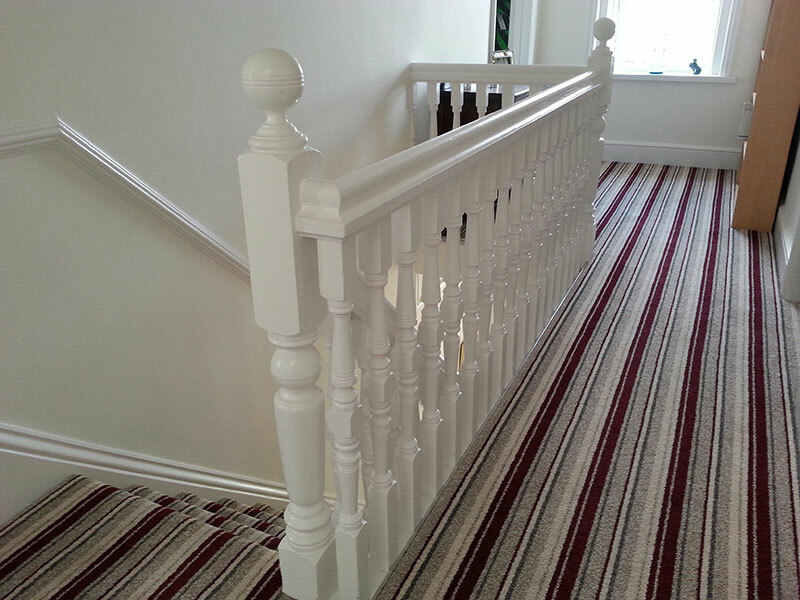 Tired looking wooden banisters transformed. 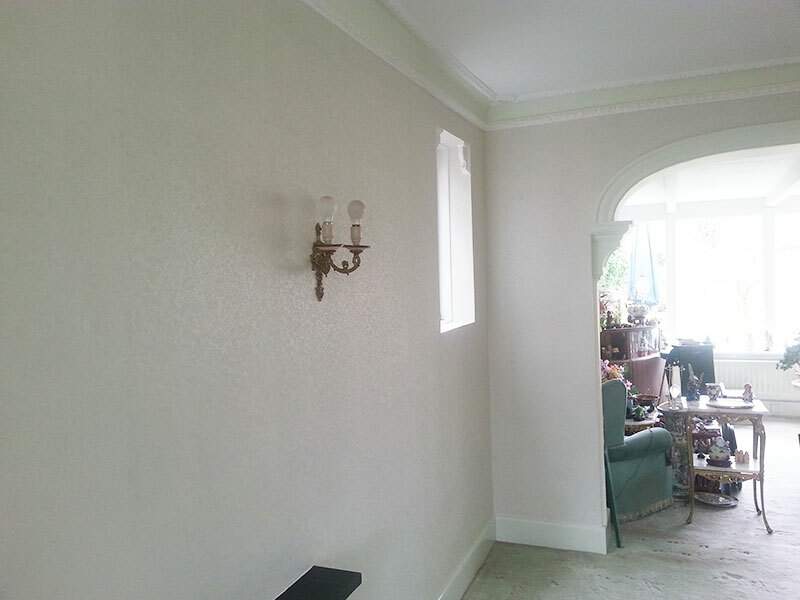 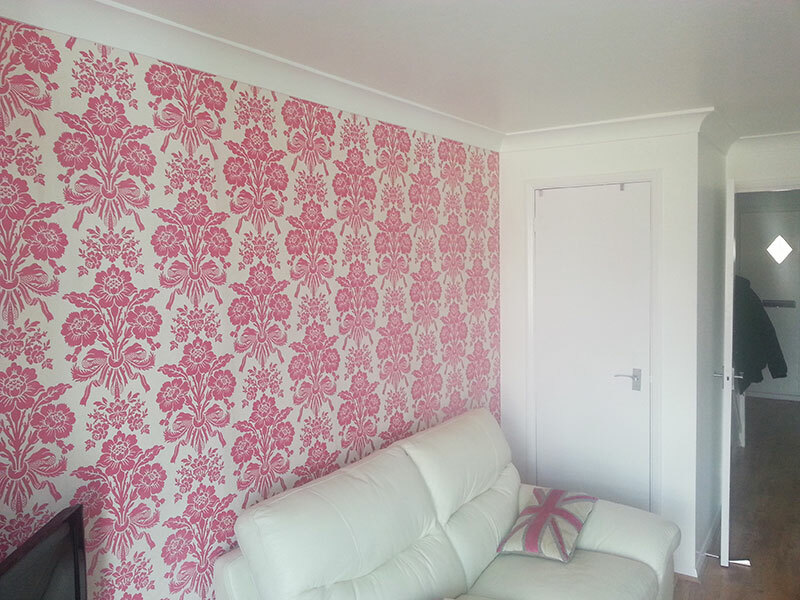 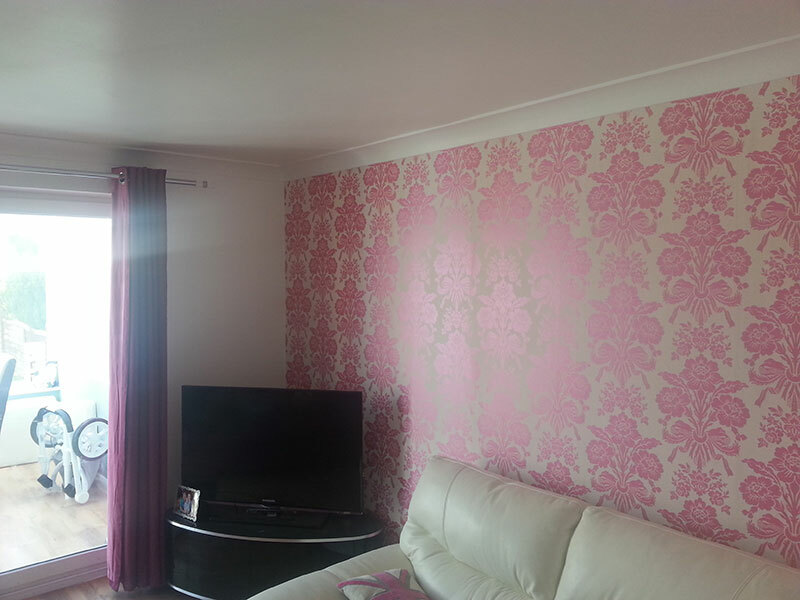 Preparation paint and wallpapering for a living room. 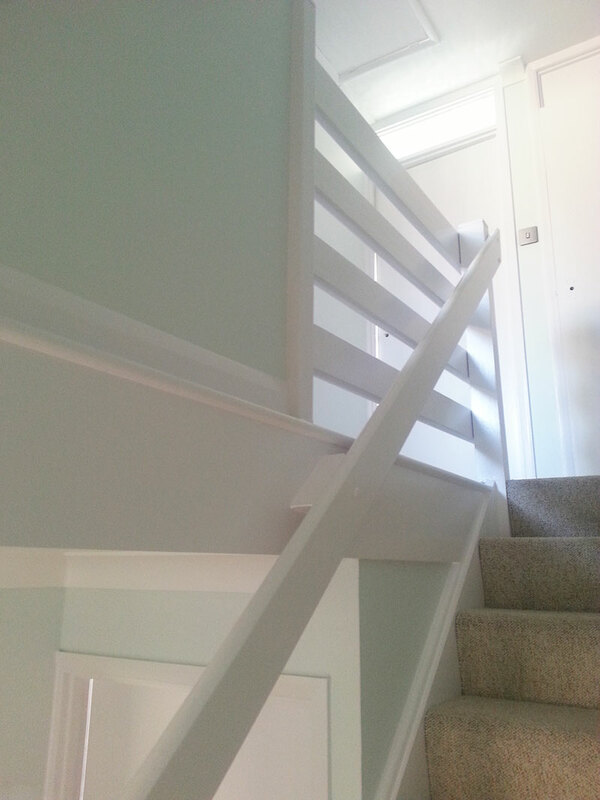 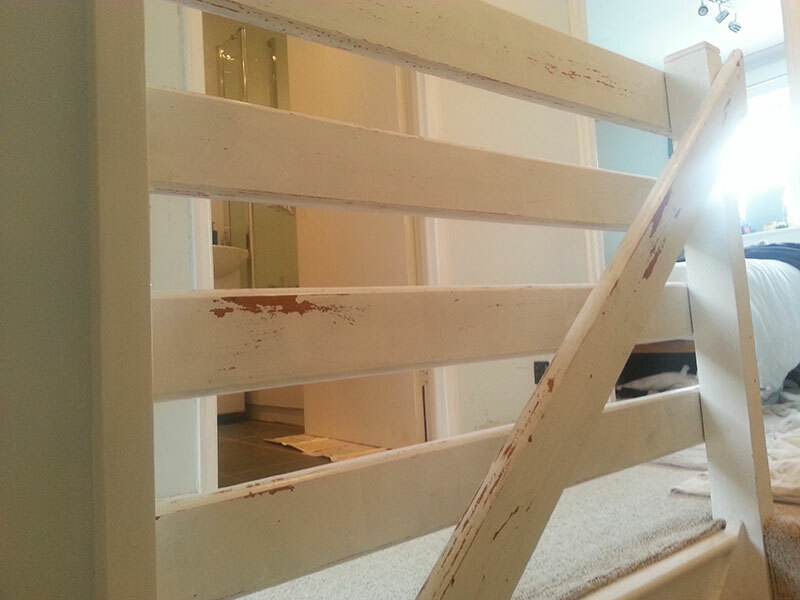 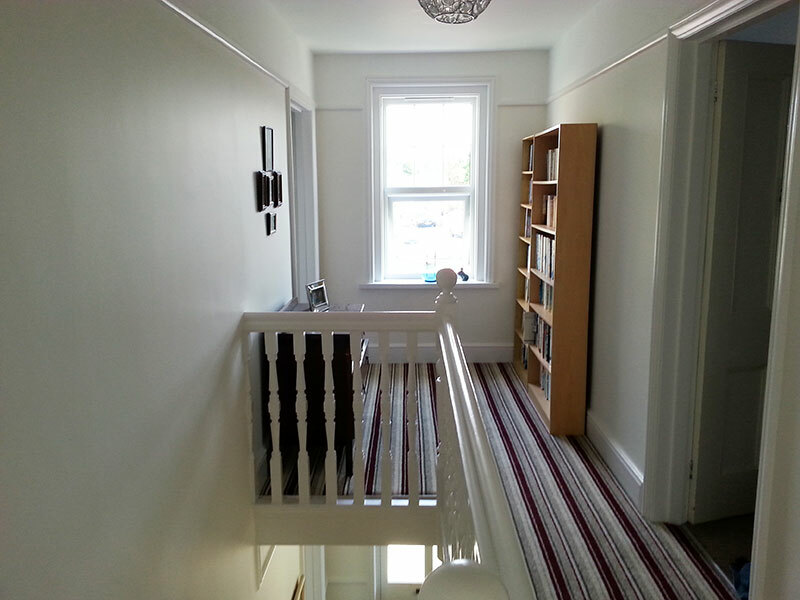 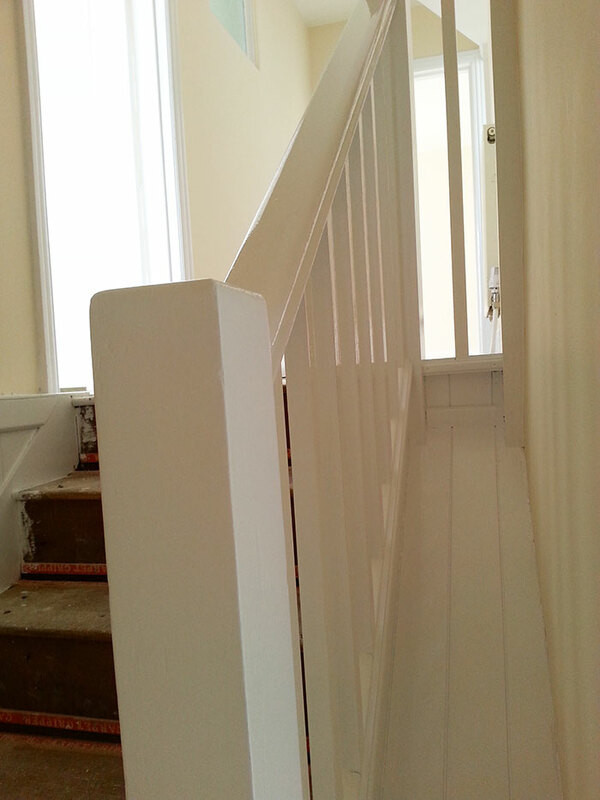 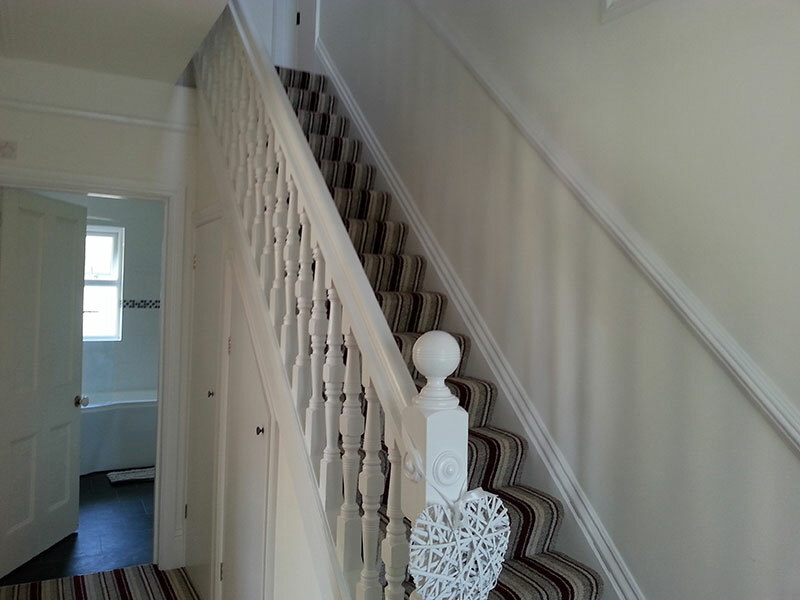 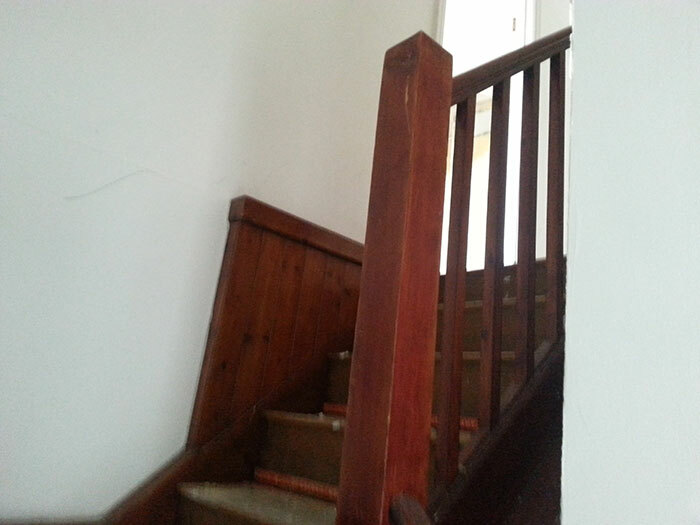 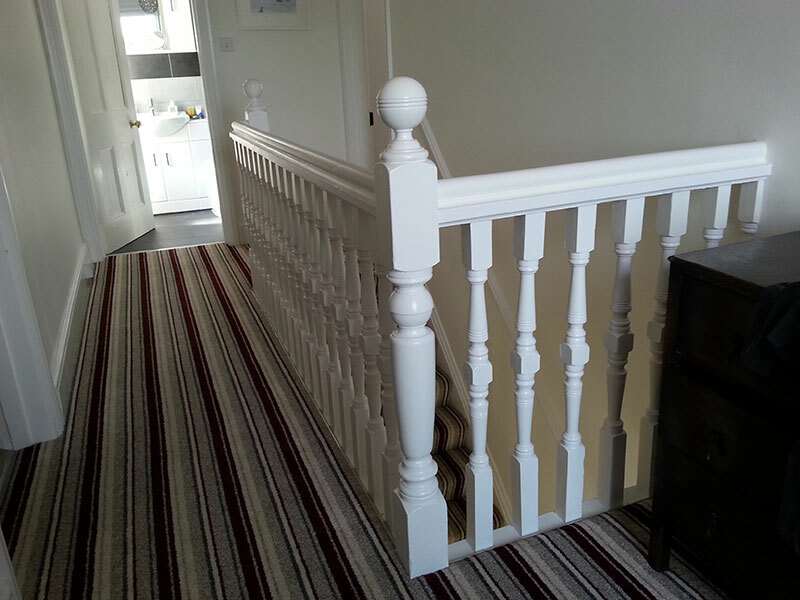 Preparation and paint of wooden banisters, stairwell and front hallway.